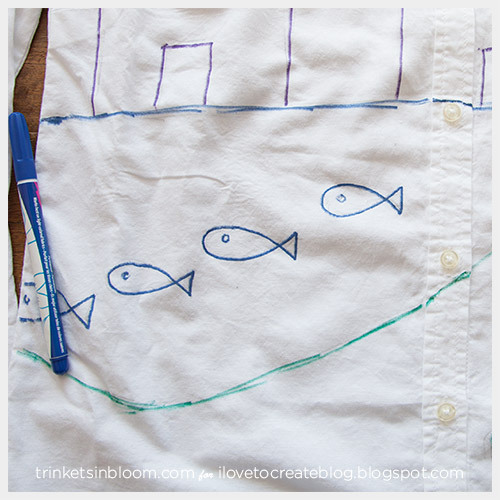 Inspired by Dolce & Gabbana fall 2015, you can create a fun allover design with doodles using Tulip’s Fabric Markers on a plain white cotton shirt to make a DIY Doodled Shirt. 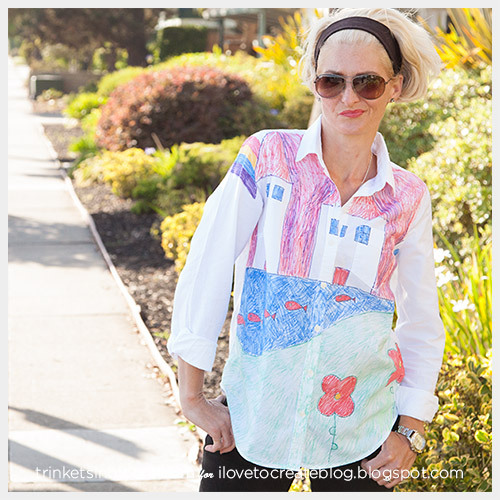 Keep your lines moving and energetic with a childlike feel to create a whimsical conversation print that can be worn dressed up or down for fall. 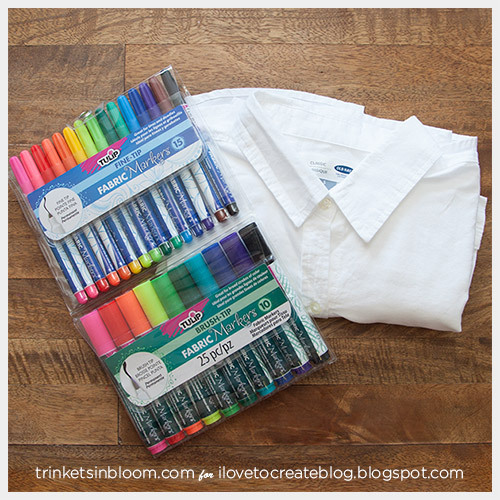 I seriously love these fabric markers! 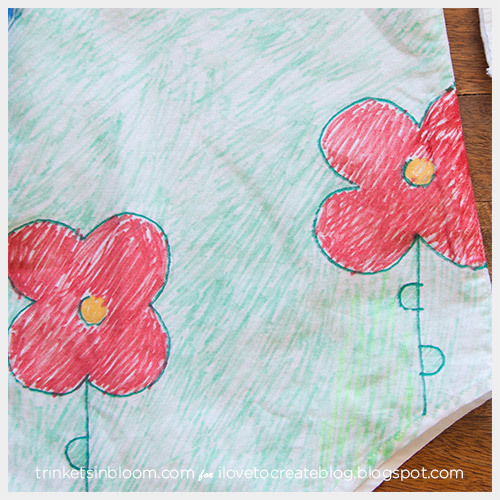 You can use them in so many ways and you always get great color that stays! Let’s get started! 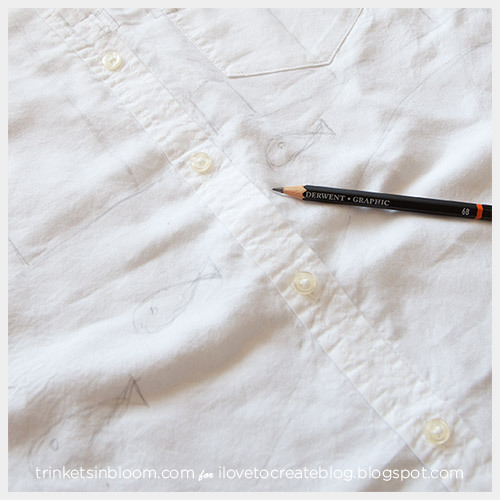 I ended up using only the thin markers for the whole shirt, they gave me the sketchy look I wanted. 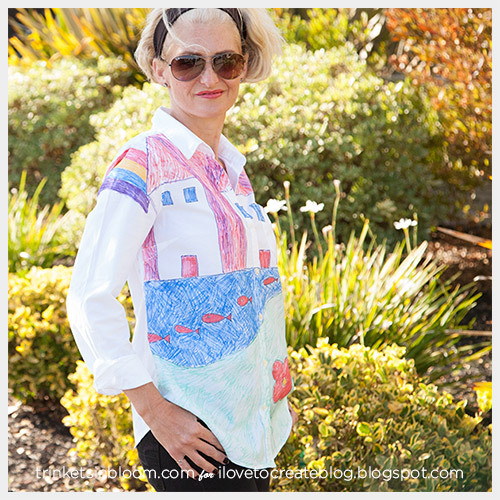 This DIY Doodled Shirt was inspired by a print from Dolce & Gabbana fall 2015. 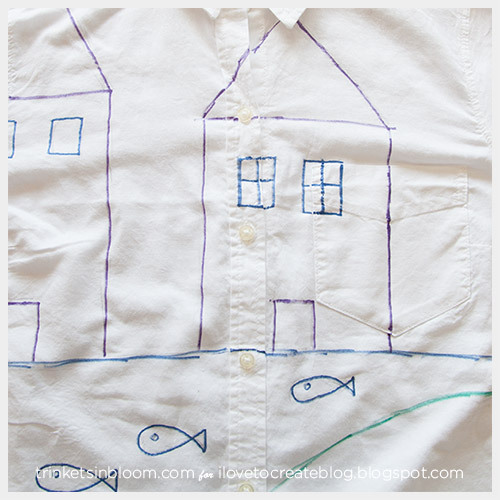 Lay your shirt out flat and using a pencil draw your design. 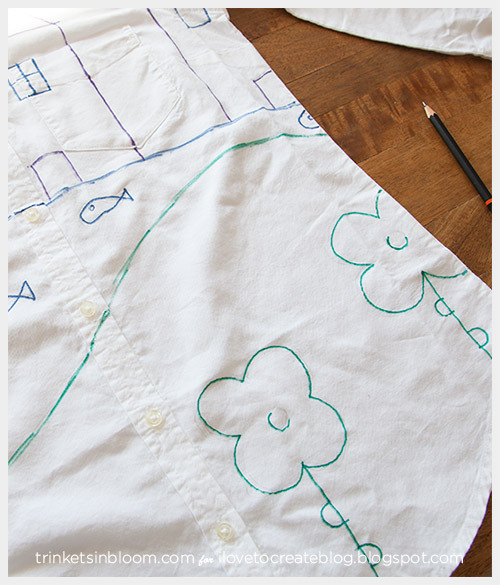 Using your outline colors trace over your pencil lines. 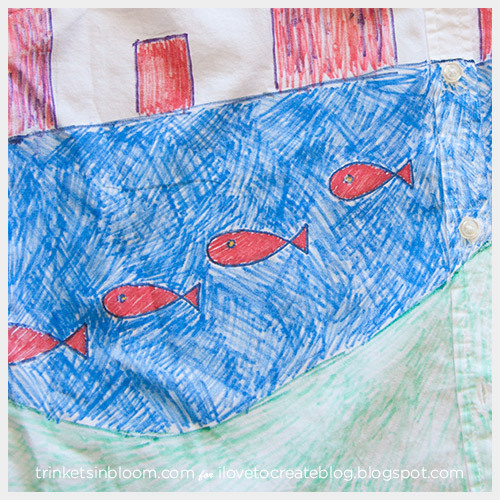 Using your fill colors make small sections of scribble lines to fill in the larger areas of color. 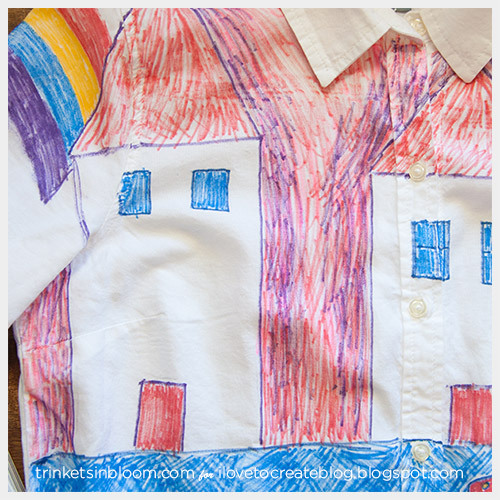 By filling in your color in small sections and changing the directions of your lines you can create a fun movement and energy with a childlike feel. 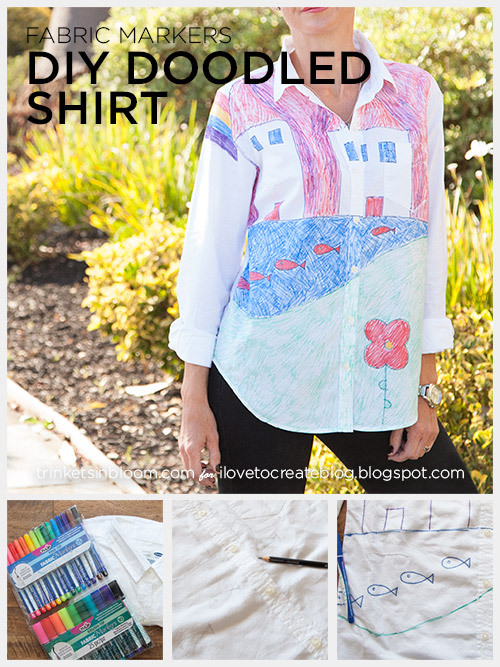 How will you create your DIY Doodled Shirt? I love this! I can't wait to try it. 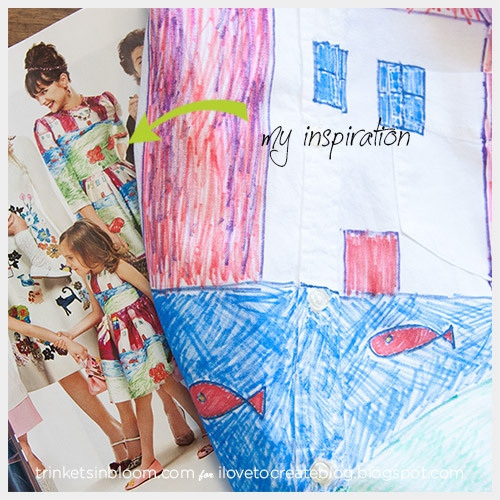 Thanks much for this inspiration.